Warning: Bad managers may seriously damage your health. I’ve seen many shining examples of good managers in my 30+ years at work and am still in touch with one of the best, after 25 years, and he’s now my trusted advisor and mentor. Good managers help to make work meaningful, set clear expectations, and whilst looking for high performance are also accessible, supportive and realistic. But bad managers may seriously damage your health and well-being as well as decrease organisational performance. 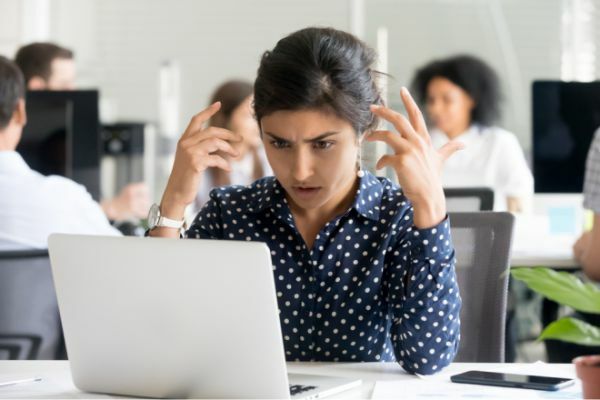 Recent reports (CIPD and Simply Health) show that 37% of businesses have seen an increase in stress-related absence over the past year due to poor management, notably in terms of workload expectations and abrasive management style. The problem is not confined to stress-related illnesses albeit these are so very debilitating and have an impact on the person and their family as well as on the workplace. Bad managers create the conditions which lead to lower levels of engagement, to greater unplanned absence and to premature resignations. General health may also be impacted. Let’s look a little more at two particular areas where Bad Managers have such a negative impact. A bad manager simply piles on more and more work, probably in response to greater work demands they themselves experience. Everything becomes a priority, the “hurry up” button is firmly pressed, and deadlines become impossible. Quality of work suffers, certainly, expectations are not met, customers experience poor service, and employees are burdened with far too much to do. No-one is saying it is easy, but one of the responsibilities managers need to demonstrate is to manage workload levels. They need to set out realistic and achievable priorities. By origin, the word “priority” means “the first thing” (a priori) which means that there can only be one priority at a time. Yet how many employees have managers who set an incessant stream of “urgent/important” demands with no sense of which needs to be “the first thing”. These become impossible pressures and quite literally something “has to give” – family-life suffers, personal time is squeezed, sleep is disrupted, health impaired and the conditions set firmly in place for long-term and debilitating stress from excessive workload. Workload has to be managed – not merely side-stepped. It’s also one of the HSE Stress Management Standards – Demands. Managers who are not clear on expectations, who set and then change goals interminably, who fail to give clear direction. Managers who fail to make work meaningful and to value the contribution others make. It is simply not acceptable for managers to hide behind phrases like “I don’t like to express my feelings” or “I am not a people person” when the very nature of their role is to support, develop and nurture the life-force of any organisation --- its people. Managers who fail to tackle workplace performance issues, to “nip problems in the bud” instead of being supportive but direct to people when there are things that need to be said. Again, bad managers fail to provide regular and (generally) positive feedback, waiting far too often for the annual appraisal. They fail to create a culture which addresses issues quickly, firmly but fairly and they also neglect to weave health and wellbeing into one-to-one conversations – how can they then spot signs and symptoms of stress, notice something amiss, or expect their team members to open up around mental health issues? Under these negative conditions, and directly impacting on well-being in the workplace, people feel under-valued and unsure what is expected of them or how they are performing. They are not being “needy” when they want to be acknowledged for the contribution they make, nor are they being “demanding” when they want to talk about their careers and their development. These are basic human needs that good managers recognise, and bad managers ignore. It is hard being a good manager in such a demanding and competitive world of work. They too have to tolerate very difficult conditions. The workplace is changing and changing fast. Managers are often responsible for larger teams, often on multi-site operations or home-working where a completely different way to manage workflow and outputs needs to be developed. Most of them as front-line managers do not receive training on “managing people” or on specific issues including “stress” or “wellness at work”. Technically, highly skilled without making the transition to these complex range of emotional and social demands on them many managers feel out of their depth or simply fail to develop emotional intelligence. So, by all means, acknowledge the issues they face. But there is no stepping away from the fact that bad managers create havoc inside organisations, seriously impact on the health of individuals and are hugely disruptive. The role is not for the faint-hearted but the enormity of the impact they have, for good or ill, has to be clearly understood. Older PostAre you sitting comfortably?